When an individual has overdosed on opioids, their breathing can slow down and eventually stop, causing severe brain damage and even death. 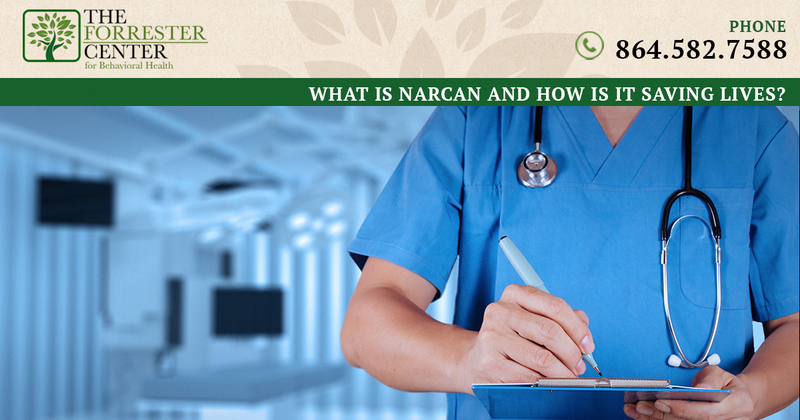 Narcan is an opioid antidote, meaning that it actually blocks the effects of the opioid. It restores normal breathing and, in many cases, saves a person’s life. Narcan is available by prescription only and actually reverses an opioid overdose. It is becoming more widely used by first responders and emergency room personnel, when they suspect an overdose. Narcan has no effect if you have not taken opioids. It is very important to give Narcan as soon as possible after an overdose in order for it to have the best possible chance of working. Narcan is given to an overdosing person by injection directly into the muscle in the arm, thigh or buttocks or into the nose via a nasal spray. It generally works quickly, within about five minutes and repeated doses are sometimes necessary if overdose symptoms persists. Opioid overdoses kill thousands of Americans each year and Narcan is one highly effective life-saving treatment. Prescriptions of Narcan are on the rise as many states have decided to allow law enforcement officials and emergency personnel to carry the drug and make the decision about whether to administer to an individual who they think is suffering from an overdose. The Forrester Center is a behavioral health center located in Spartanburg, SC, that specializes in caring for those suffering from substance abuse disorders. Our team has extensive experience supporting patients with opioid addiction and helping them develop the tools they need to stop using and stay clean long term. Opioid use is widely regarded as a national epidemic, with more than 115 people dying every single day in our country as a result of an overdose. Narcan is critically important to saving lives in an immediate sense. Addiction treatment is also important to preventing future overdoses. If you or a loved one is struggling with opioid use, reach out to the team at The Forrester Center for the support you need to finally take control over your addiction and put it in the past, once and for all. An overdose can happen quickly, with little warning and, while Narcan can save a life, there is no guarantee that help will arrive quickly enough to save yours. Call us today at 864-582-7588 for more information or to speak with one of our addiction specialists.